Handsome Tamil actor Jeeva's next film in the language has been titled 'Thirunaal'. Shooting is taking place in Kumbakonam and Jeeva is back to rough look for the movie. Jeeva will once again romance his 'Ee' co-star Nayanthara in Thirunaal. 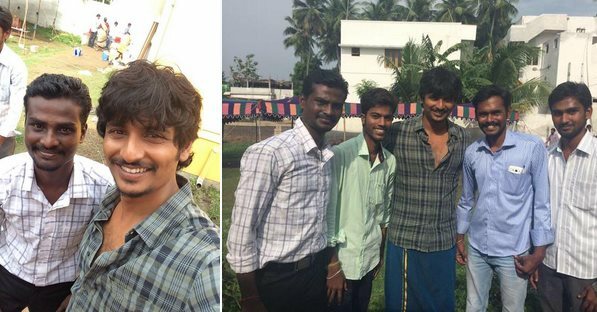 Being directed by Ramnath, Thirunaal on-location stills are making rounds in social-networking sites, where Jeeva sported tanned look. According to reliable sources, Jeeva is playing the role as a rowdy in Thirunaal, while Nayantara will be seen as a pre-KG teacher. Nayanthara is expected to join Thirunaal sets by May-end or first week of June. Music director Sri, cinematographer Shakti, editor VT Vijayan and art director Seenu are among Thirunaal technical crew.